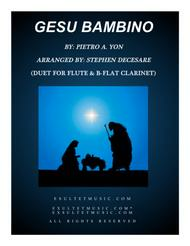 Composed by Pietro A. Yon (1886-1943). Arranged by Stephen DeCesare. Christian, Contemporary Christian, Sacred, Praise & Worship, Christmas. Score. 15 pages. Published by Exultet Music (S0.270019). 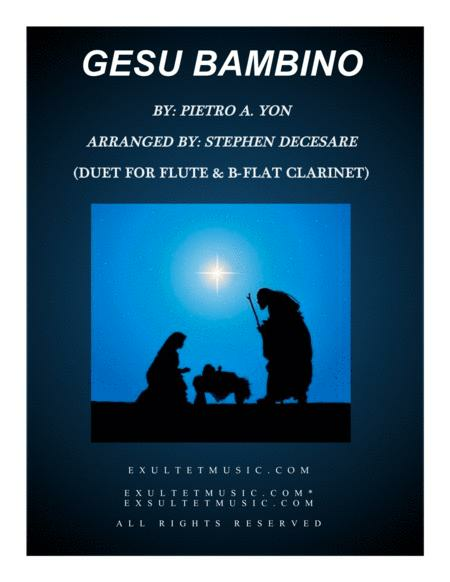 2017 Holiday Contest Entry The beautiful Italian Christmas carol which utilizes the melody and lyrics of "Adeste Fideles" has been freshly arranged as a duet for Flute and Bb-Clarinet with Piano accompaniment. Accessible and appropriate for any church or concert setting.